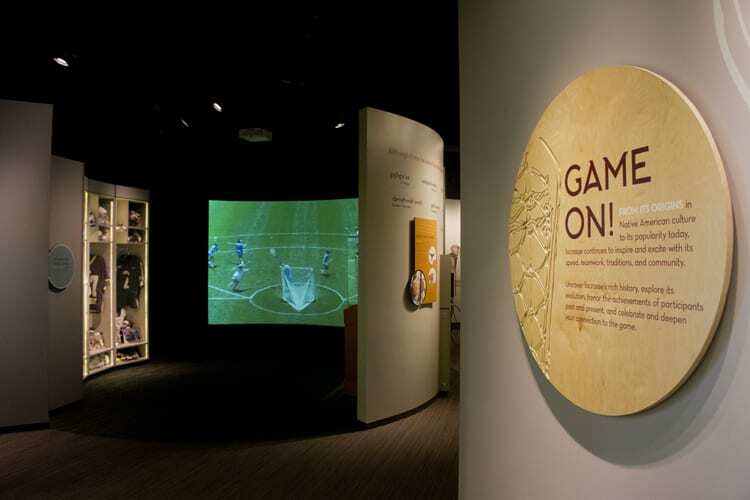 Quatrefoil was selected to design and build a new exhibition about America’s oldest sport. 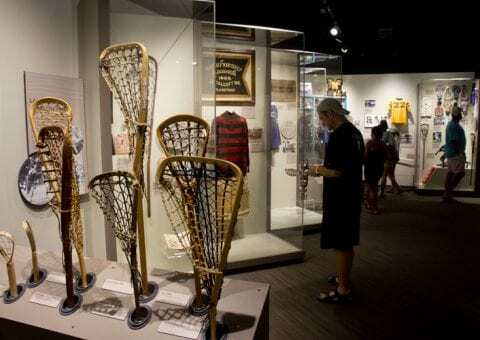 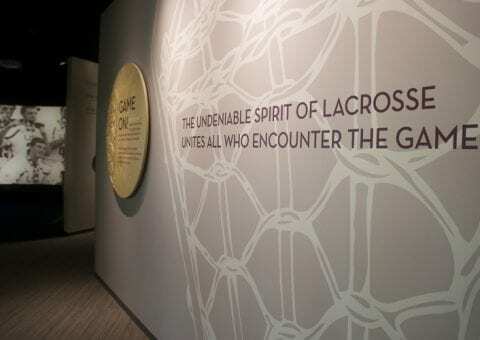 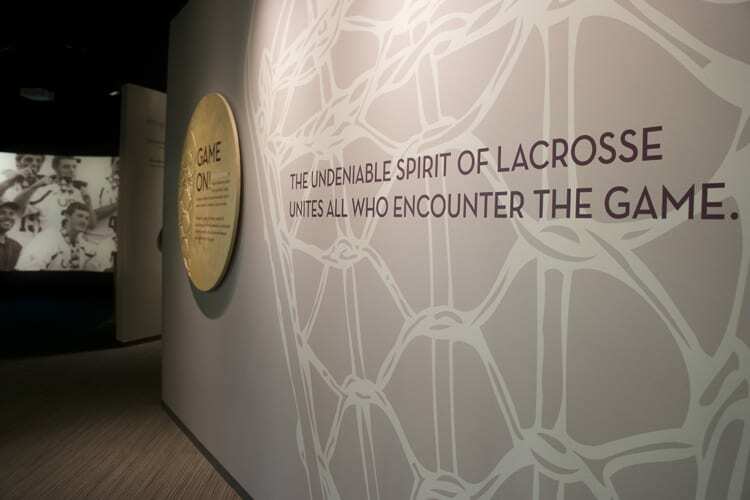 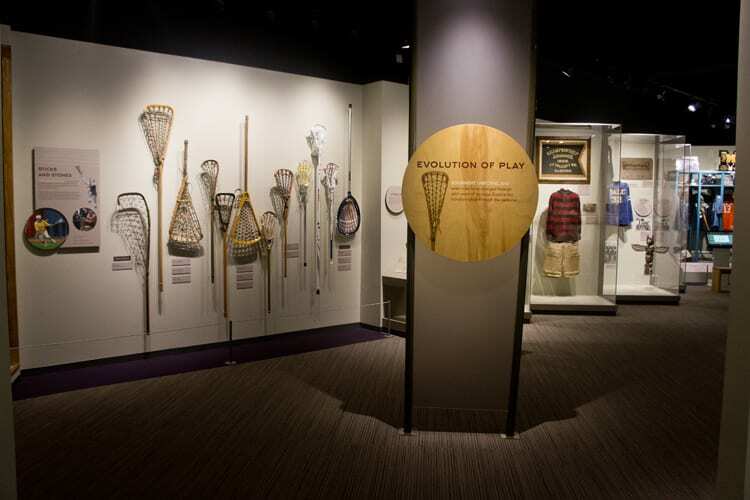 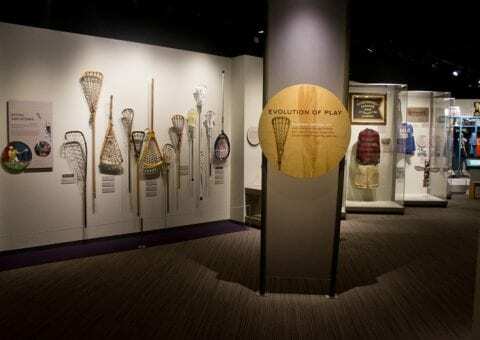 Touchscreen interactives throughout the gallery invite visitors to experience the game from a player’s point of view, trace highlights from the sport’s history, explore lacrosse legend and lore from a Native American perspective, and record and share their own lacrosse experiences with other visitors. 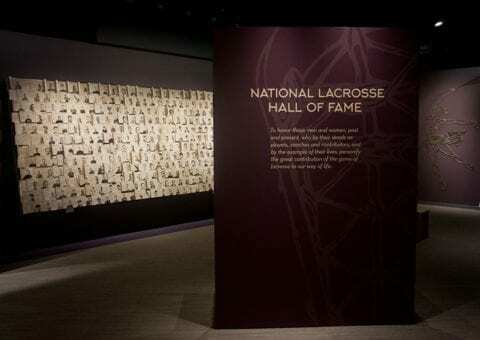 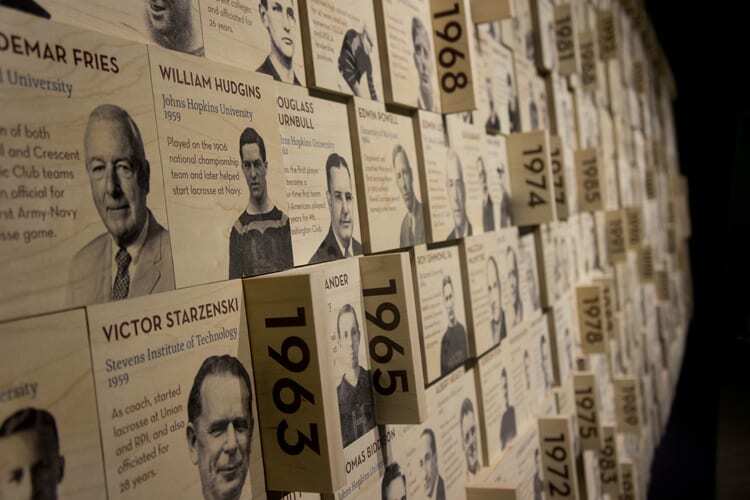 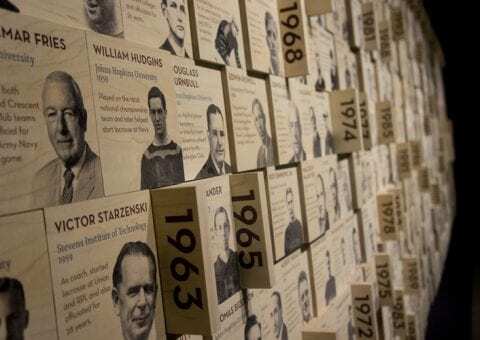 The Hall of Fame features the biographies of every inductee from the first class in 1957 to present. 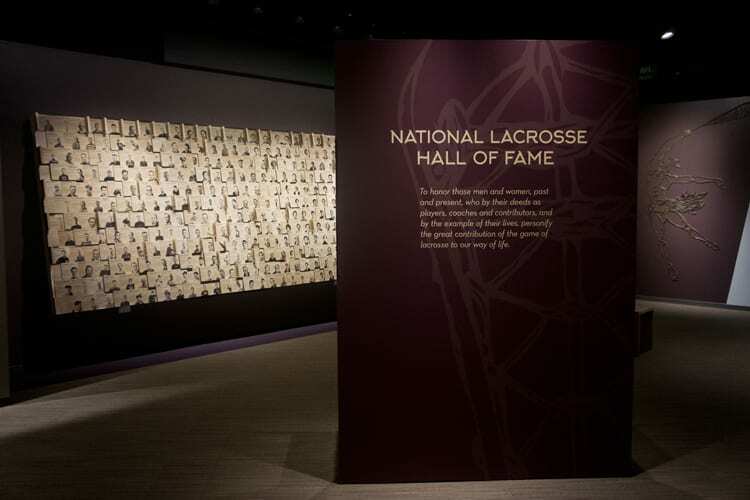 For many of the honorees, visitors can also access highlight footage and interviews. 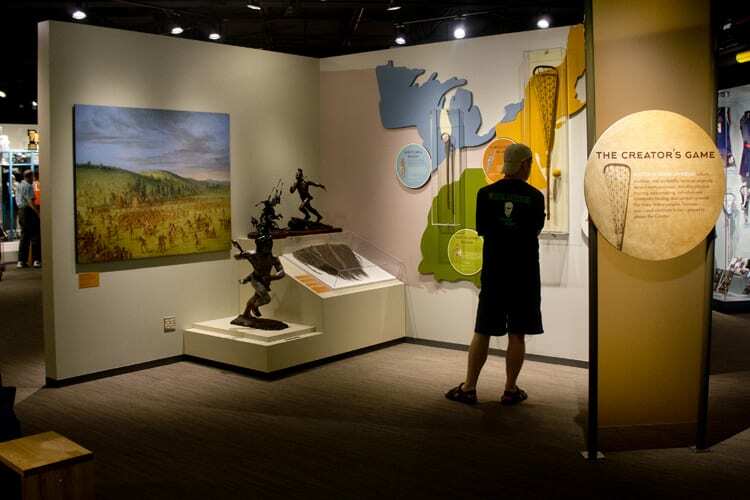 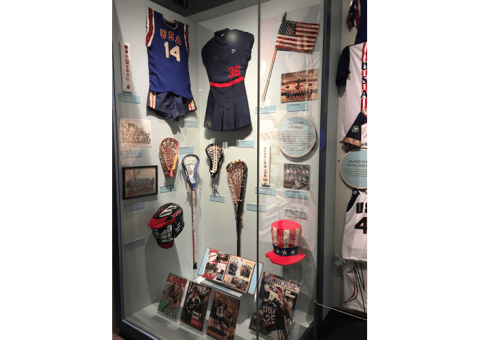 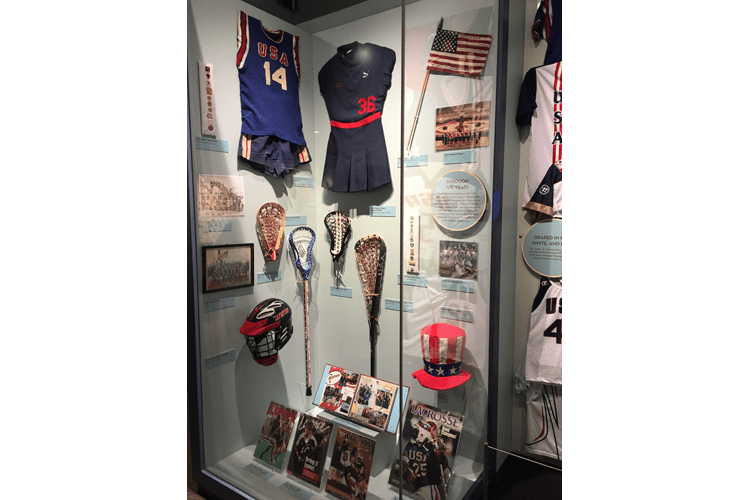 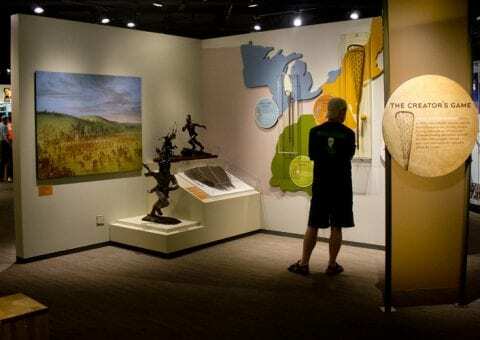 The exhibit features more than 300 artifacts including rare photographs, art, vintage equipment, uniforms, memorabilia and trophies reflecting the game’s longevity and global appeal.